This class will stress composition and design starting with the thumbnail sketch. 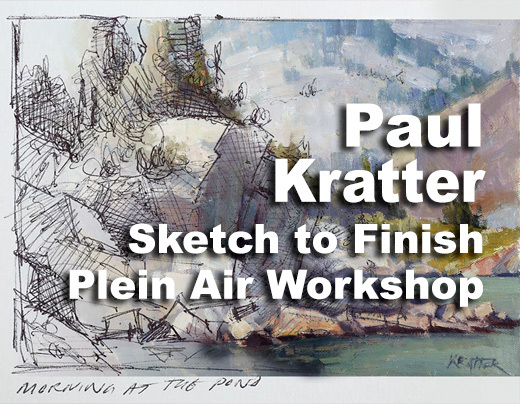 Paul will break down the sketch process so you can better design your paintings, before you ever get out your paints. Demonstrations will start each class with a thorough breakdown of the process. He will stress good drawing by looking at specific graphic shapes and simplifying the elements of your composition. Color & atmosphere are emphasized as the painting takes shape. 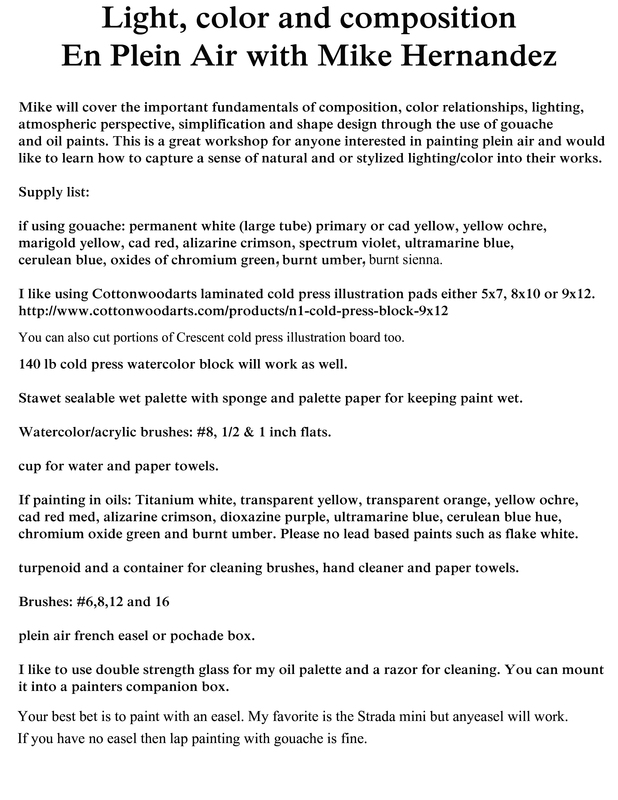 There will be talk about the materials, equipment & any aspect of painting outdoors that will help you become a better painter. The class is taught with a lot of individual help along with demos & feedback from the students. Paul always teaches with a very positive approach & a fair amount of humor. You will have a fun time!